Helping Good People Through Bad Times. 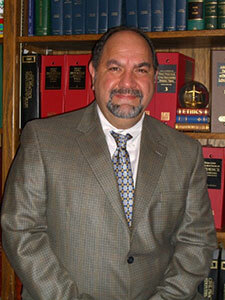 Attorney Dennis Balsamo received his law enforcement degree from Palm Desert’s College of the Desert in 1977. He went on to work as a police officer and then as a criminal investigator at the Santa Barbara County District Attorney’s office before going back to school to get his law degree at Santa Barbara College of Law, graduating in 1999. In 2002, he opened the doors of his own firm, the Law Offices of Dennis James Balsamo, APLC. He looks forward to many more years of serving the greater San Luis Obispo area. It’s never too early to begin planning for your future. Auto accidents and other injuries are difficult to manage. Get help. Put 30+ years of criminal defense experience on your side. We represent all kinds of businesses both large and small. SCHEDULE A FREE CONSULTATION TO FIND OUT HOW WE CAN HELP. The Law Offices of Dennis James Balsamo, APLC proudly represents clients in San Luis Obispo, Northern Santa Barbara County, and the surrounding California communities of Avila Beach, Shell Beach, Port San Luis, Pismo Beach, Grover Beach, Arroyo Grande, Morro Bay, Atascadero, Santa Maria, and Lompoc. The Law Offices of Dennis James Balsamo, APLC offers skilled legal counsel in many different areas of the law such as estate planning and administration (including all matters related to trusts, wills, probate, contested wills and trust litigation), personal injury (including slip and fall incidents and all vehicle accidents), criminal defense (including DUI, domestic violence, drug crimes, and petty theft), and business law (including entity formation, transactions, and litigation).